Dr. Raviv Lectures on Laser Cataract Surgery at National AAO Meeting. Dr. Raviv was invited to lead several educational symposiums at the recent American Academy of Ophthalmology (AAO) meeting in New Orleans – the largest eye meeting in the world. Discussing surgical tips for new femtosecond laser cataract surgery users, Dr. Raviv presented to large crowds of ophthalmologists from around the world. 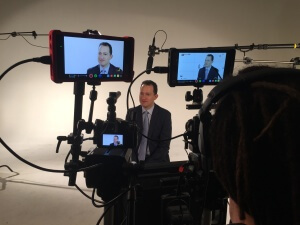 Dr. Raviv was also interviewed about premium cataract surgery and advanced premium intraocular lens implants (IOLs) for different ophthalmic media outlets. https://eyecenterofny.com/wp-content/uploads/2014/08/ECofNY-logo-transparent-1030x635.png 0 0 Eye Center of New York https://eyecenterofny.com/wp-content/uploads/2014/08/ECofNY-logo-transparent-1030x635.png Eye Center of New York2016-01-04 19:39:212016-01-04 19:55:29Dr. Raviv Lectures on Laser Cataract Surgery at National AAO Meeting.